The threatened closure of HMV (which has gone into administration) saddens me mainly because thousands of staff in its shops in Britain and Ireland face joining the dole queue, along with workers from Blockbuster video and Jessops cameras which are also in Administration. Good to see that workers at two HMV branches in Limerick have occupied the shops demanding they are paid for work they've already done and that they get redundancy payments. Unless somebody buys the shops and reopens them, that will be the end of music shops in most UK town centres. I believe that would also hasten the end of the CD format - why make products if there are no shops to sell them? (apart from a small number of specialist shops on the one hand and supermarkets selling a narrow range on the other). Of course people can order CDs online, but increasingly they are more likely to just download or stream the music. In the pre-internet age record shops were portals to whole musical worlds, and beyond them to alternative sexual, literary, fashion and political sub cultures. Arguably this function began to decline once CDs replaced vinyl, if only because CD boxes conveyed so little information to the browsing music fan compared with a 12 record sleeve. Of course the internet finished it off, demystifying all those hidden scenes by giving instant access to their 'secrets' from the home computer and later from the mobile phone. 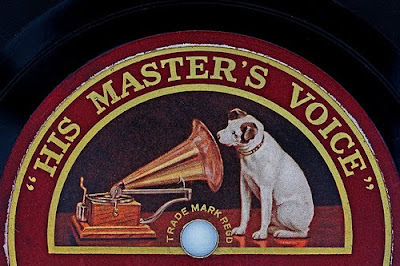 Analysts have criticised various HMV business decisions and blamed tax dodging at HMV's big competitor Amazon for the fall of the record shop chain. But these are marginal factors compared to the bigger trend - the fall in the value of recorded music. As both Marx and the classical economists (particularly Ricardo) discovered, the economic value of a commodity is ulitmately a function of the amount a labour embodied in it. In the pre-digitial music industry, a huge amount of labour was involved in bridging the gap between the recording of music and the consumer - workers in record pressing plants (and in the plants feeding them with raw materials), in transport distributing records and CDs, and in shops like HMV. The amount of labour embodied in CDs and DVDs sold in shops hasn't changed, but as Marx also showed it's not the amount of labour in an individual product that determines its value but the amount of 'socially necessary labour' - ie the average amount of labour time in a society necessary to produce that thing. If the 'thing' in this case is the consumer having access to the piece of music when they want it, then the socially necessary labour involved in its manufacture and distribution is virtually zero with internet downloading. As price broadly follows value, old style retailers of material music cannot really compete. And with the magnitude of value circulating in the music industry reduced there is obviously less scope for 'surplus value', the element accrued by capital as profit. Hence businesses like HMV becoming less profitable and ultimately unviable from a capitalist point of view. Does that mean that record shops are completely finished? Not necessarily. For most consumers the 'use value' of a song is simply a matter of being able to listen to it at will - the delivery mechanism (digital, CD or vinyl) is irrelevant. For a minority though the use value of a physical record or CD goes beyond this. It might be a matter of a perceived difference in the sound quality compared with digital music, it might be an aesthetic appreciation of the packaging. It might be to satisfy (or never quite satisfy) the fetishistic desire of the obsessive collector, or to signify some kind of imagined 'cool' (hey look at my hipster cassette collection). There's enough there to hopefully keep open some specialist shops like Rough Trade which retain some of that aura of the portal. But in the present form of society, probably not enough value to cover the costs of a presence in the average high street or shopping mall. Right on time comes the British Record Shop Archive: 'The record shop was once the centre of every music lover's universe, from the beginnings of the vinyl 12 inch in the 1940's through to the digital music developments of the 1990's, millions of us browsed, socialised and bought music in our local record shop or high street department stores. Record shops were an integral part of the social fabric in local areas. They launched pop stars, record labels, and were focal points for emerging music genres. The aim of this site is to record the history of the record shop in an accessible archive, to hold intrinsic details that could get lost in the mix, and to celebrate the role that the record shop played'. Leon Parker is trying to raise funds at Kickstarter to mount an exhibition on the history of Dobell's Jazz and Folk Record Shop (21 Tower Street, London WC2): 'Until 1989, when Dobells finally became another victim of rent rises and redevelopment, Dobells had been a Mecca to music lovers for more than four decades. Dobells was one of the first record shops outside the US to stock Jazz, Blues, Folk, World, Latin and African music. It was also a meeting point for a remarkable network of different people — musicians, both the famous and the forgotten, anarchists, Tory politicians, doctors, dancers, dockers, writers galore, union leaders, eminent academics, film stars, journalists. school kids still in uniform and bankers (not to mention some distinctly dodgy Soho characters) — all rubbing shoulders drawn by a passion for music into a cramped, smoke-filled and frequently alcohol-fueled record shop in Soho. Dobells was the first port of call for visiting American musicians. Many would come to Dobell’s from Heathrow and buy records before they found a hotel room! BB King loved Dobell’s while once Janis Joplin dropped in with a bottle of Southern Comfort. You could find Roy Eldridge, Ben Webster, Red Allen or half the Ellington band shopping and gossiping. It acted as a fertile learning ground for the youngsters who went on to lead such legendary British bands as the Rolling Stones, Led Zeppelin, Fleetwood Mac, Cream and from Belfast Taste. The listening booths were research libraries to a whole generation and on Friday afternoons wage envelopes were torn open for rare Blue Notes, Riversides, Topics Folkways and Blue Horizons. And Dobells is where Bob Dylan spent a lot of his time during the long winter of 1962 when he lived and performed in London. Dylan even recorded in Dobell’s basement as Blind Boy Grunt'.